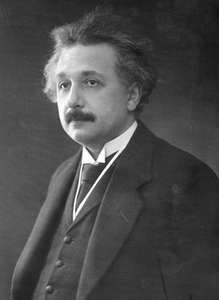 In my book The Enlightening, I make the following observation: Both Albert Einstein and H.A. 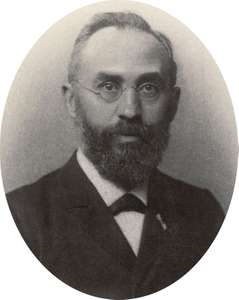 Lorentz conceived of Lorentz’ Relativistic Velocity Transformation equations as describing the entire extent of the universe. This is clearly supported by Einstein’s relativity theories, including the proposed universal “speed limit” of c. Lorentz did not disagree with Einstein’s interpretation. My new postulate is as follows: The Transformations do not describe the entire universe. Instead, they describe the entire relativistic range of physical perception possible within the space-time reference frame of any single observer. That might sound like a subtle difference, but the cosmological ramifications are profound. My second new postulate builds upon the first: Space-time interacts with mass/energy in the form of a wave, at c, relative to the reference frame of the mass/energy. These are not just “throw away” postulates on my part. I spent 25 years tying these simple ideas to a wide-ranging model of what I call hyper-dimensional space-time. Although various multi-dimensional models have been proposed in the past, they all lack the depth and specificity of my model. In my previous post “Space-time”, I point out how my second new postulate aligns with some very interesting research out of Caltech, and in fact aligns quite perfectly with the famous double-slit experiment. In fact, in Chapter 30 of my book, The Enlightening, I depict a variation of the double-slit experiment which clearly describes how space-time itself is responsible for the wavelike behavior of all particles in the universe. I think my book is very important just for the description of this one single experiment, but it goes much deeper than that. This new way of looking at the universe also leads the way toward a multi-dimensional model of dark matter that does not necessitate any new, exotic particles, or bizarre alternate universes, or anything of the sort. In my model, dark matter is simply ordinary matter which exists in entirely separate reference frames than our own frame. In fact, the portion of the Milky Way in which we exist, within our own frame of space-time, is a source of dark matter for other portions of the Milky Way which exist within entirely separate space-time reference frames, or entirely separate dimensions of space-time. We have looked high and low for dark matter, and I find it to be deeply and satisfyingly ironic that we ourselves are someone else’s dark matter. There is much more to the book, such as a stunningly simple physical model of electromagnetic energy which provides a mechanism for the Second Postulate of Special Relativity. I will take a deeper look at that model in Part II.